Connecticut’s Beardsley Zoo staff know that the best way to save endangered species is to save their homes. Habitat preservation; providing clean water, safe cover, and the territory animals need to find their own particular kind of nourishment, are all critical elements in saving the wild creatures of the world. Everyone can help Connecticut’s Beardsley Zoo in saving wild species, starting right in their own backyard. Butterflies are a colorful signal of a healthy backyard. 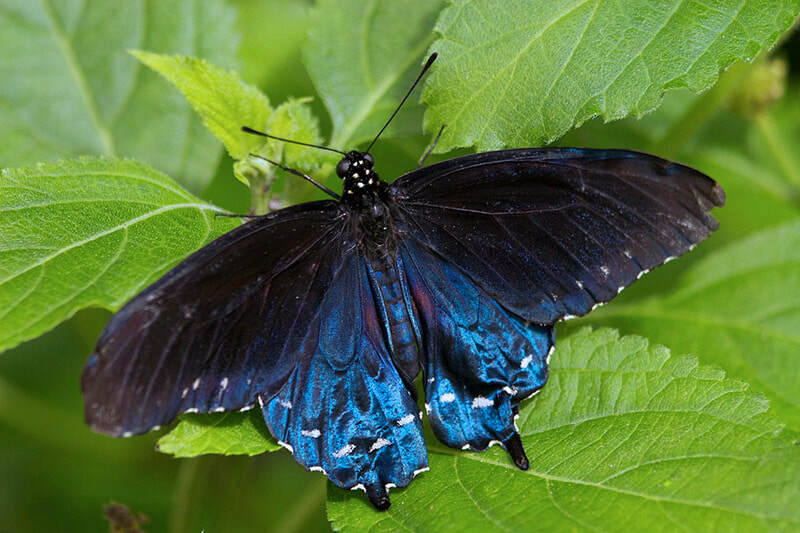 By planting a butterfly garden in your yard you provide an environmentally friendly habitat for these colorful creatures and other important wildlife species, such as salamanders, frogs, toads, hummingbirds and native songbirds. Remember, when you maintain a safe home for wild creatures, everyone benefits. Children can learn so many valuable lessons from nature, you can enjoy the relaxing sight of butterflies alighting in your garden and everyone needs a clean, green and serene planet! Butterflies like sunny places, protected from the wind. They enjoy drinking from a damp, muddy spot or very shallow pool. In order to keep warm, butterflies like to bask in the sun, preferably on a large, flat stone you can set out for them. And of course, butterflies love flowers! Flowers provide the insects with nectar, their main source of nourishment. When it comes to flower preferences, butterflies seem most attracted to purple, yellow and orange colored flowers and the more flowers, the better. If you add some tall red and pink flowers to the mix like trumpet vine and torch lily, hummingbirds may also visit your garden with regularity. Be sure to place a shallow raised birdbath in your garden for your feathered guests. Helpful amphibians will enjoy the middy spot you create for thirsty butterflies. And don’t forget that all butterflies begin life as caterpillars that have their own special needs. We’ve provided two lists for you to help provide food for butterflies throughout their life cycle. Plant your garden and know that you’ve created a very special place for wildlife!